Jennifer Brobst joined the Southern Illinois University School of Law faculty as an Assistant Professor in 2014. She is cross-appointed as a member of the faculty in the SIU School of Medicine's Department of Medical Humanities and the SIU Department of Public Heath. She teaches in a wide variety of subjects, including health law, evidence, criminal law, and property law. 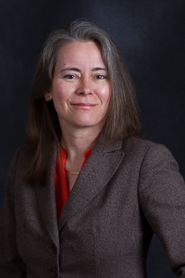 Professor Brobst began her academic career implementing the first Domestic Violence Clinic at North Carolina Central University School of Law (NCCU). She then served as the legal director for eight years at the Center for Child and Family Health in Durham, North Carolina, a medico-legal consortium of partners including Duke University School of Medicine, University of North Carolina Chapel Hill, and NCCU. She regularly taught courses at NCCU on evidence, professional responsibility, and senior writing seminars, including the law school’s first Scientific Evidence course. Prior to entering academia, she started her legal career as a child forensic interviewer and street law educator in community schools at a nationally accredited child advocacy center in South Bend, Indiana. She also served for two years as a deputy prosecuting attorney in St. Joseph County, Indiana, with a general felony case load. She then took a hiatus to earn her Masters in Law degree in New Zealand, followed by a move to North Carolina where she became the first statewide trainer for the North Carolina Coalition Against Sexual Assault, including work in legislative reform and amicus brief support. She is currently a member of the Advisory Council of the SIU School of Medicine Center for Rural Health and Social Service Development and regularly provides expert witness training for the SIU School of Social Work Trauma-Based Behavioral Health Fellowship program. Since 2014, she has served as a member of the Advisory Council of the National Crime Victim Law Institute, based in Portland, Oregon. In 2017, she served as Chair of the Balance in Legal Education Section Executive Board of the Association of American Law Schools, which seeks to improve law student, faculty and professional resilience and well-being. In 2016, she authored the National Health Law Moot Court Problem and Bench Brief. In 2011, she received the Cheryl Amana-Burris Faculty Award for Distinguished Service for her contributions to women’s leadership and service at North Carolina Central University School of Law. Her earlier leadership positions have included government appointments and service on the National Child Traumatic Stress Network Justice Consortium, North Carolina Commission on Mental Health, Developmental Disabilities and Substance Abuse, North Carolina Commission on Domestic Violence, and the North Carolina Association of Women Attorneys. Professor Brobst has been admitted to practice law, now in inactive status, in California, Indiana, North Carolina, and before the United States Supreme Court. She has degrees from Victoria University of Wellington Law School, New Zealand (LL.M. by thesis on international and comparative law addressing physical child abuse); University of San Diego School of Law (J.D. ); University of Cape Town, Republic of South Africa (B.A. with distinction in Archaeology and Social Anthropology).